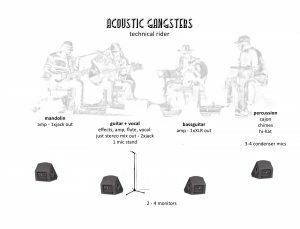 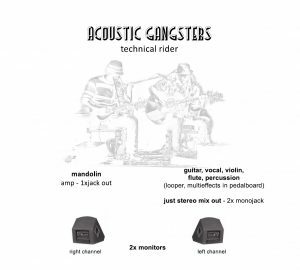 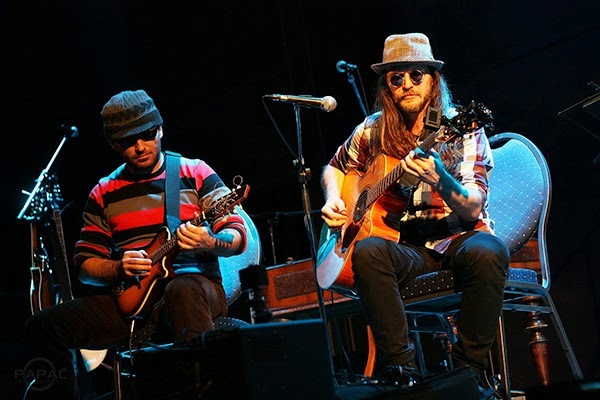 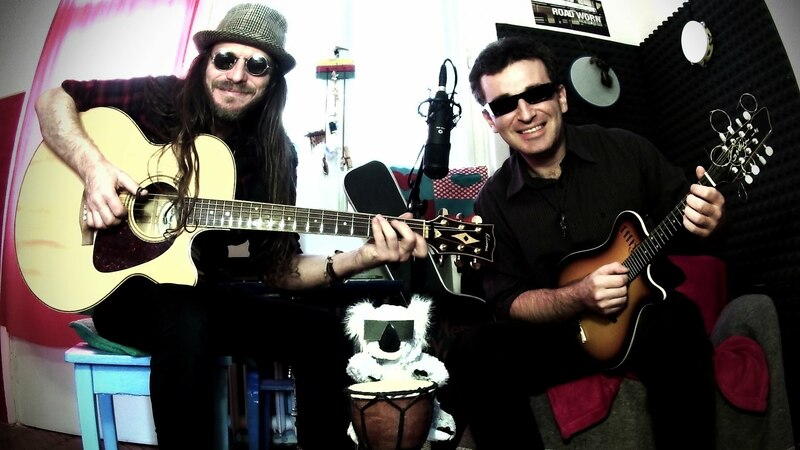 Acoustic Gangsters | PETER LUHA | Slovak Guitarist - Guitar Lessons Videos Concerts..
Acoustic Gangsters is a project of guitarist Peter Luha and mandolinist Jozef Scheiner that present the compositions from their solo albums. 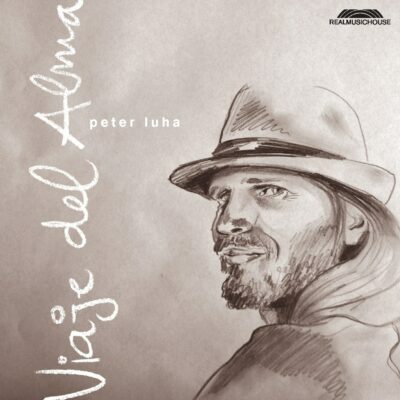 Peter´s album Viaje del Alma was nominated for the best instrumental album of the year in the 12th annual Independent Music Awards and has won the 6th annual Tais Awards. 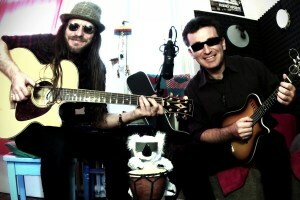 It reflects the inner music journey influenced with jazz, folk, flamenco and rock. Perinmama, the solo album of Jozef Scheiner is the only Slovak album and one of few albums from Europe which was released by Acoustic Oasis – the label of mandoline legend David Grisman. 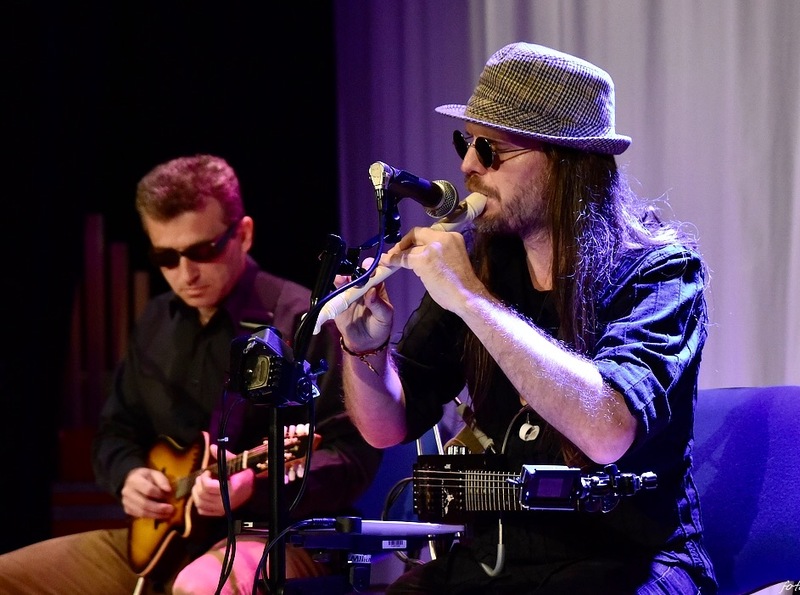 Jozef has explored various musical styles including tango, newgrass, new acoustic music and jazz. 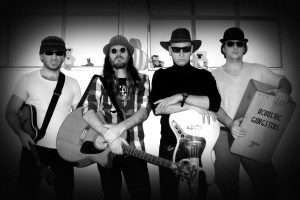 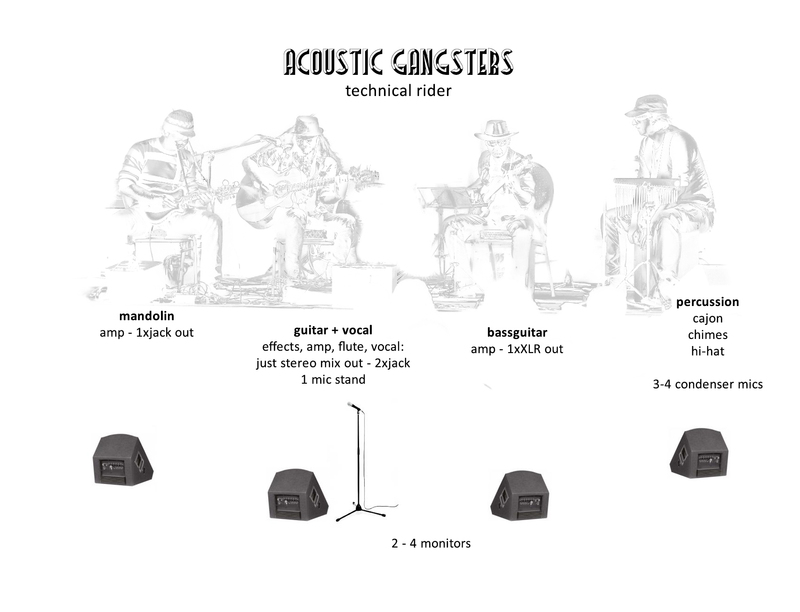 Driven by enthusiastic audience reactions Acoustic Gangsters share their music ideas with ease, humour and above all, instrumental mastery and delight. 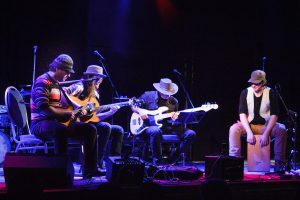 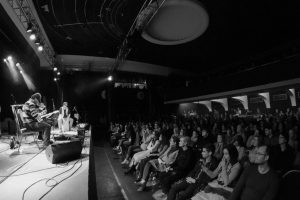 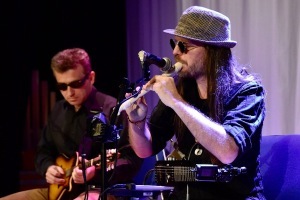 Acoustic Gangsters occasionally perform with top-notch Slovak bass guitarist Juro Griglák, Marián Jaslovský (flute or saxophone), Ján Berky-Mrenica (violin), Dino Majdák (percussion), Dano Godáni (dance) or others performers.